Ask DJ: What Makes Wine Vegan? Send all ASK DJ questions to [email protected]. What makes a wine vegan? I can’t think of any animal products based on this article. Here’s the simple answer: vegan-friendly wines are wines made with no animal-derived products. But does wine need to use anything from an animal, you ask? Yes and no. Wine is simply ripe grape juice that’s had yeast added to kickstart fermentation. It really needs no other additives. Newly fermented wine is cloudy, full of suspended particles that make wine hazy and are not appealing to drink. To help wine become crystal clear (wine will clear itself over time, but we are impatient, and so have figured out ways to speed up the process), many wines undergo a process called clarification, using a fining agent. Fining has two main purposes: to prevent haze and to eliminate some tannins thereby improving balance of a wine. Fining agents that contain naturally occurring proteins are highly effective, and the most common are animal-derived. And that’s where the vegan issue becomes relevant. Because trace amounts of the fining agents could remain in the finished wine, ones that are known allergens are listed on the label, just as sulphites are. A wine label might warn that it contains milk, egg or fish – stated this way because Health Canada insists on plain language in labelling as opposed to technical terms. This label primarily serves to warn allergy sufferers, not vegans/vegetarians per se. There are other effective fining agents that aren’t animal-derived, like bentonite clay, kaolin clay, plant casein, silica gel and vegetable plaques and carbon. Wines using these products might choose to add the words ‘vegan’ or ‘vegan-friendly’. Also, if the wine is unfined and unfiltered, it's absolutely vegan. Full ingredient listing has been a hot topic of discussion for decades in the wine industry, and will eventually become law. 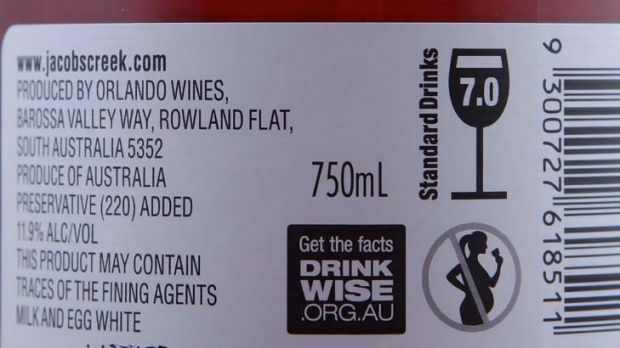 For now, winelovers who adhere to a vegan diet can look for disclosure on the back label, but should also be assured that any residues in a non-vegan bottle are infinitesimal.